LinkedIn being the professional craze for the industry in the recent times everyone is trying to explore the best of it in various ways. Very unlike the changes we’re seeing on some other social networks, LinkedIn’s have all been genuine improvements which put functionality and community first. LinkedIn has always concentrated on putting the individual first, so building a unified company presence on the site has had unique challenges in the past. 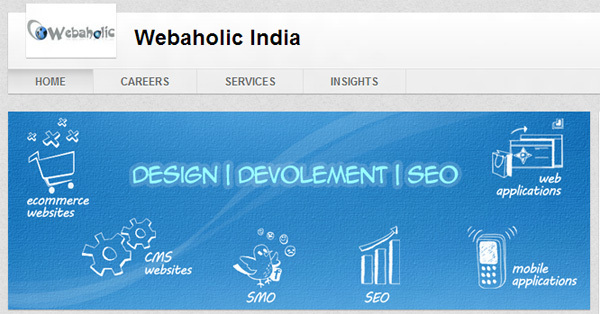 Hopefully this makeover will give companies a chance to give their branding a more dynamic presence. 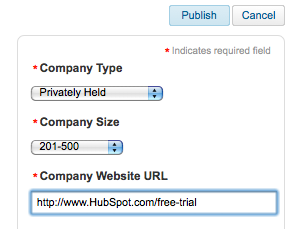 The first change you’ll spot when you log in to your company page is a request to upload an image. On closer examination this turns out to be a banner, much like Face book’s timeline cover image. Here you’ll want something bold and eye-catching. If you aren’t a super major with an instantly recognizable logo, then consider adding information including a strap line to your banner. Images should be under 2MB in size, and will be cropped to fit a 646px X 220px space, so make sure you’ve got a rectangular banner to avoid chopping the bottom off your lovingly crafted logo. If you have large blocks of color a .PNG file should avoid any flattening. As mentioned, this is a great chance to finally get your branding front and center on LinkedIn. 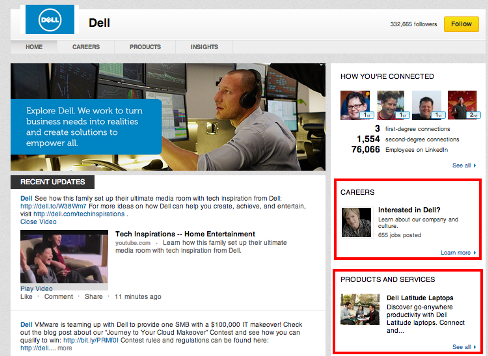 Scroll to the bottom of your recent updates and you’ll notice that your company profile also appears on the front page. Make sure you have a quick run through and update any information here as required. Although this tends to be the kind of housekeeping task that gets pushed to the bottom of to do lists, but it’s now one of the first things visitors to the company page will see, so make sure it shows you in a good light. This is useful as it means you can gauge the effectiveness of your page updates easily, separating them from the homogenous mass of traffic that comes to your site from LinkedIn and optimizing accordingly. Make sure you plan ahead so that content you post here ties in to your wider strategy. We match ours to our Daily Pulse newsletter, highlighting particular stories, events or training accordingly. Based on current figures, these updates create far more interaction then advertising, so it’s worth spending time tweaking these posts for the best response. All of the information you have previously listed on your page are now far more visible, with sidebar links to your products and services, career information and more. Make sure you’ve added location information to the sidebar on the right of the page, and if possible update your products and services list with your most popular items – again, they’ll all display on the homepage. This is the first step to getting some serious value from your company page. Go to “Edit” select connections you want to be able to edit your page and publish status updates. To add them, just start typing their name and then click. Here’s a special tip: make sure you add yourself, otherwise you’ll have to ask one of the new admins to go in and add you. This is relatively ambitious. However, if you can go in and post a link to a blog article in the morning and perhaps a discussion question at night, you’re on the right track! Consistently posting will help you grow your LinkedIn reach, as well as regularly get traffic to your website from LinkedIn. 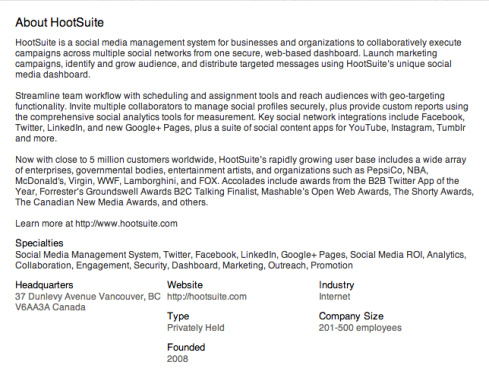 Link to a landing page, or a targeted interior page with some good details about your company. That will ultimately be more effective at driving leads and customers. You must have a YouTube video as having a video is more appealing to the visions. You can add it (or anyone’s YouTube video, really) by going to “Add your YouTube video …” and copy/pasting a YouTube video link. 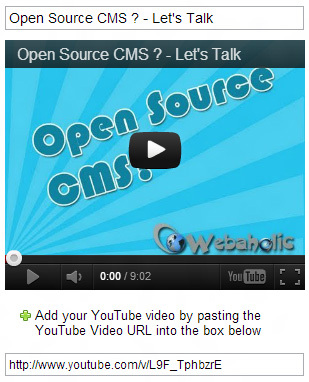 Now you have video to complement your written content. The last tab, analytics, is a rich resource and adds insights and value. Here, you can track page views and unique visitors for your overview, careers and products and services pages. You can even compare how your company is doing with similar companies. These are some of the tips which gives more exposure to your linkedin profile which will have the desired effect on your online presence. If you happen to discover more please share!